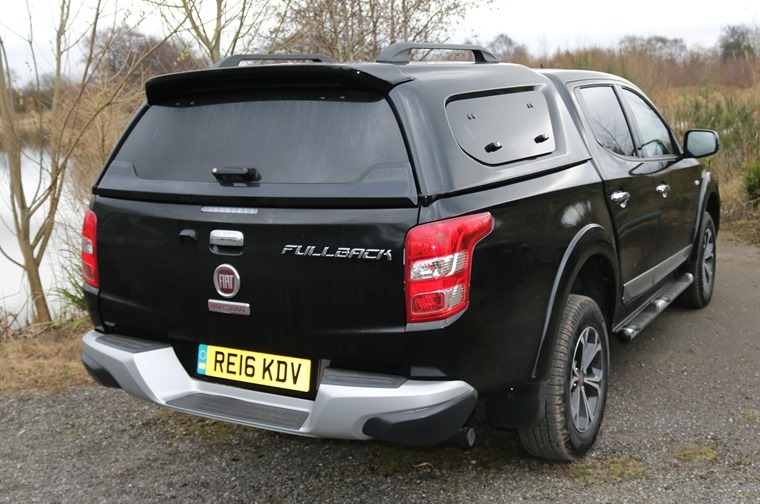 Hard-wearing, capable, practical through-and-through, the Fiat Fullback has a viable claim to being the ultimate choice for the working man's pick-up. Not to get all existential on you, but when is a Mitsubishi L200 not a Mitsubishi L200? If you said ‘when it’s a Fiat Fullback’ then congratulations, you’ve passed Automotive Philosophy 101. For the rest of you who are confused about the fact Fiat, that stalwart of tiny and/or sporty Italian motors, has produced a pick-up truck then read on. In some regards, the platform Fiat chose is somewhat of a throwback, albeit a very capable one. 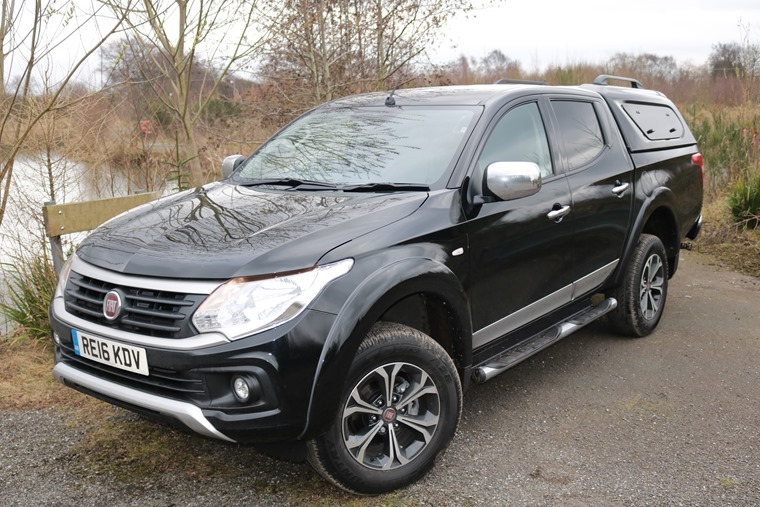 Marketed as being based on a 'technical platform of absolute tried and tested value', this essentially translates to ‘the Fiat Fullback is a rebadged Mitsubishi L200’. There are minor tweaks to differentiate it – it gets its own grille design for example – but stepping inside or loading up the bed and you’ll see that it is identical in every way that matters. And why not? 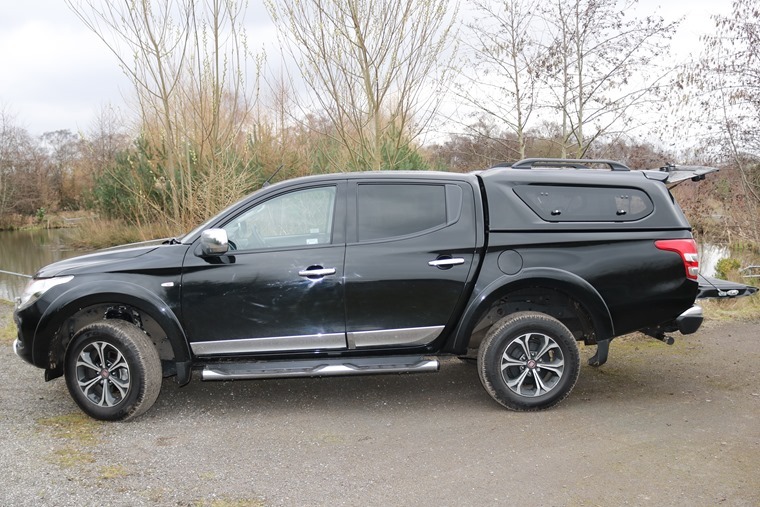 Once upon a time, the Mitsubishi L200 was king of the pick-ups and if you were going to opt for any platform as a safe bet for your first foray into the segment you would be hard pressed not to choose it. Or would you? In 2017, pick-up trucks are increasingly judged on how ‘car-like’ they are thanks to the trailblazing Nissan Navarra, the enticing Ford Ranger and the opulent Volkswagen Amarok, and the L200 is very much of its time offering you practicality and comfort over familiarity and ease. In some regards then, the platform Fiat chose is somewhat of a throwback, albeit a very capable one. And herein is the rub, just what do you want a pick-up truck for? Step into the cab and you’re confronted with this straight away. 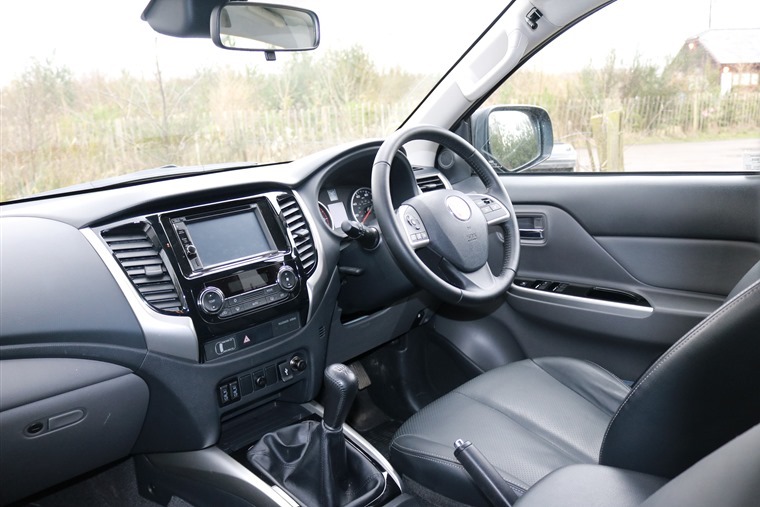 It’s roomy and hard-wearing enough but there’s a slightly dated feel – from the steering wheel to the sat-nav – and when it comes to storage you’re similarly stuck with the age-old armrest compartment, narrow door bins or small-ish glovebox options. That engine pulls as strongly as any pick-up I’ve experienced. Go over the amount of safety kit on offer and we see further evidence of practicality over creature comforts, with all models getting front fog lights, seven airbags, hill-start assist and a lane departure warning system to name just a few. This level of practicality extends to driving too. Powered by a 2.4-litre diesel engine and with a towing capacity of just over three tonne and 430Nm of torque, performance is the name of the game here. The Fullback has one of the smallest turning circles you’ll find in this segment so if you have to manoeuvre in tight spaces or off-road it shouldn’t be an issue. That engine pulls as strongly as any pick-up I’ve experienced. Thanks to the six-speed manual gearbox, no matter what you’re carrying or how heavy the load you will not worry about the engine struggling for power even if you’re hauling a bed full of gear in fourth on a 30mph road. And it’s when driving with a full load that the Fullback comes into its own as, without anything to anchor it in the back it, can be a relatively bumpy ride over dirt-road, potholes and speed bumps. 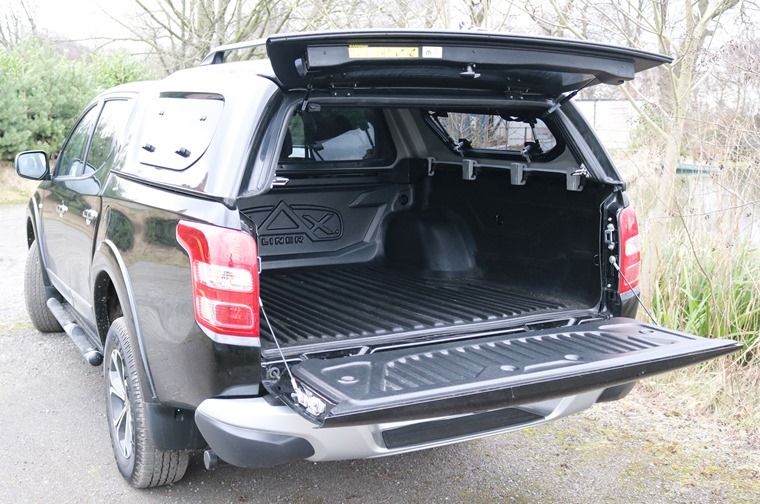 The load-bay is a decent size at 1850mm long and 1470 wide, meaning it can hold pretty much anything you’ll need to transport whether it’s pallets or boxes. 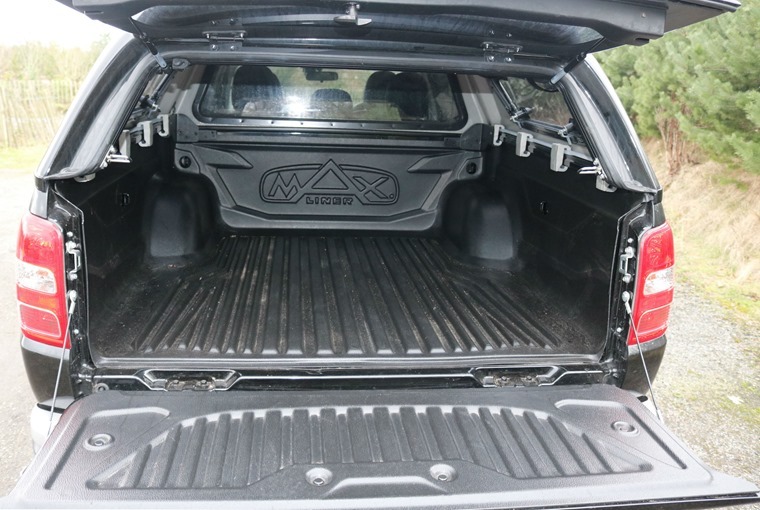 This extended load-bay does provide a bit of an issue with reverse parking though as the full length of the Fullback comes in at just over five metres. It’s off-road where the Fullback really comes into its own, tackling some crazy ascents and boggy fields with ease. While it comes with a reversing camera which is worth its weight in gold, rear visibility is almost non-existent due to the size of the load bay as well as privacy glass. While it doesn’t take long to get used to the size of the truck, and you’ll be parking like a pro after a few attempts, it could definitely benefit from parking sensors to go with the reversing camera as, at nearly two metres in width, if you’re parking between two cars it can prove to be an issue. Be that as it may, the Fullback has one of the smallest turning circles you’ll find in this segment so if you have to manoeuvre in tight spaces or off-road it shouldn’t be an issue. This pick-up truck is truck-like, and that’s precisely why you should want it. No matter what you’re carrying though, it’s relatively quiet on the road, with engine noise only really noticeable when accelerating with a heavy foot or when getting up to speed on the motorway. 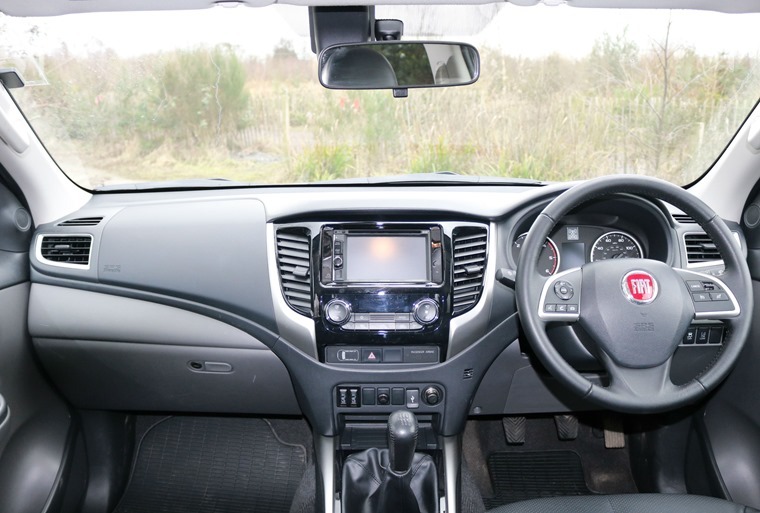 There’s also very little lean in corners and lots of feedback through the steering wheel meaning it fills you with confidence when driving on any route. And it’s off-road where the Fullback really comes into its own, tackling some crazy ascents and boggy fields with ease thanks to the four-wheel drive system. This comes in the form of a dial and can be switched to cope with whatever you’re attempting to drive up/over/through thanks to the clutches which manage torque delivery to each wheel. With company car drivers being able to save thousands in tax thanks to HMRC’s VAT and Benefit-in-Kind tax rules, it’s no wonder so many companies are switching to luxury and top of the range double-cab pick-ups. It’s also no wonder why this term ‘car-like’ is increasingly being bandied about to judge a pick-up truck, and with Mercedes-Benz soon to offer their first ‘executive pick-up’, it’s only going to become more of a talking point in the industry. Forget all that. This pick-up truck is truck-like, and that’s precisely why you should want it.